With over 1.3 billion active websites on the world wide web today, there’s no doubt that it’s getting tougher and tougher for a website to stand out and be noticed. But there are a number of tools that you can take advantage of to help your website get the attention and love it deserves. Aside from ensuring that your website is modern and up to date, keep in mind that it should also have useful information that truly represents your business. The Internet is changing every day, so it’s important to stay on top of your game and keep up with all the innovations as they continue to evolve. This unfortunately means the content that you created yesterday may not be as useful as today and the approach that worked last week may just be an outdated and ineffective one now. If you’re not sure how well your site is performing, don’t forget to grab your free SEO analysis report. As of January 2018, there were a staggering 4 billion internet users according to We Are Social – they’re all online looking for something and if any of them are looking for you, you want to make sure they find you. Fortunately Google has a number of free tools that can help you improve your website and your search results. Here are our top 3 tools that you should definitely be integrating into your online strategy. Installing Google Analyticss is also super easy, so if you’re not already using it, get it done today! Start by creating a new Google account, or use an existing one, if you have one that you use for gmail or other Google applications (it’s way easier to have everything at your fingertips with one login than to have to hassle around logging into differnet acounts). Once you’ve set up your account, you just add your website, tell Google what data you want to see and then add the tracking code that Google provides you to your website or mobile app. With Google Search Console, you can monitor and maintain your site’s presence in Google Search results. This tool gives you an overview of your website performance and provides valuable insights so you can see what part of your website could be improved. It also notifies you when your website encounters errors so you can fix the issue fast – now that’s helpful! This really is a great tool if you want to keep a keen eye on your website’s performance (information is power, so jump on it now!). Google My Business is a tool that lets you create a local presence in search results and Google Maps. It includes basic information about your business like its name, location and operating hours, and you can even add photos to make your business even more appealing. We love the review feature that lets your customers leave reviews about your business. You can easily check out and respond to those reviews, and as we said in a recent blog, Google will reward you with higher search ranking when you have good reviews. 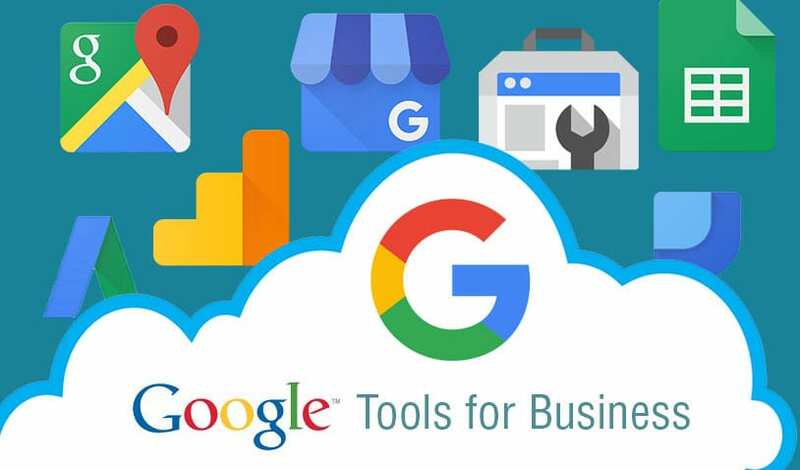 To set up Google My Business, you just need to create an account and provide the necessary information about your business like your name, location, delivery area, phone number and your website URL. Once you’ve set up, Google will want to verify that you’re really you by sending a verification code. This can be sent by postcard, text message or email, depending on your preferred option. Once your business is verified, you can start optimising your Google My Business listing. Keep in mind the information that you add needs to be accurate and concise, and don’t forget to keep adding pictures to keep your prospective visitors interested. So there you have it, we hope this helps you on your journey to better online perfomance! Website performance and SEO are constantly changing and evolving phenomena so it pays to have a partner who’ll proactively keep you updated as things change. Don’t forget to keep checking our blog for useful information, and if you need a hand, we’ll be more than happy to help. Just get in touch for a chat about how we can help you achieve awesome online results.